In Paris, Julio le Parc helped found the Groupe de Recherche d’Art Visuel, (GRAV), a collective of Op and Kinetic artists who worked to revitalise the viewer’s experience of art. 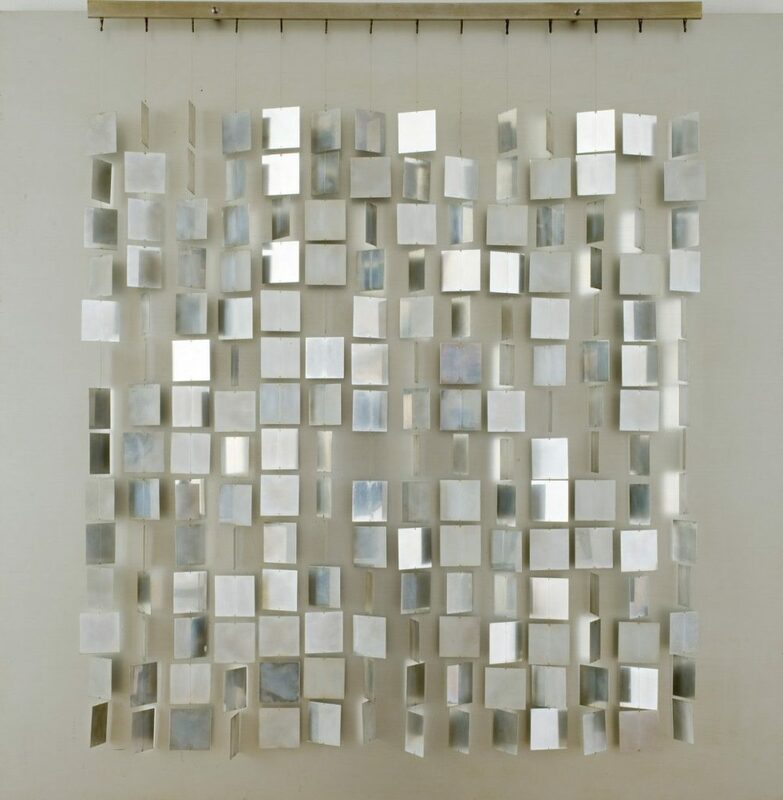 Le Parc’s experiments with light, movement and illusion led him to create works such as ‘Continuel-mobil Argent’, designed to produce murals of constantly-shifting reflections and shadows. For le Parc a destabilizing and disorienting art could serve the revolutionary purpose of rendering society less apathetic and more open to change.